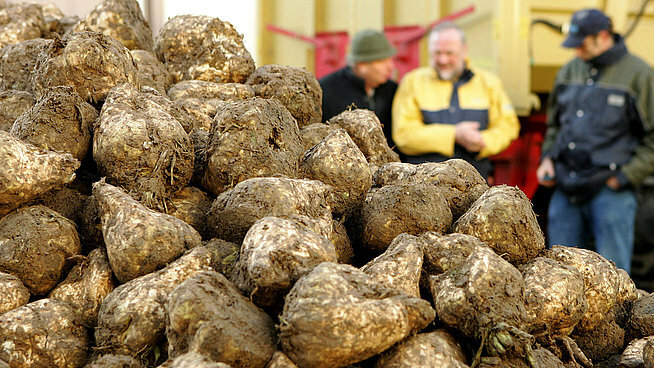 (Reuters) – U.S. sugar beet farmers are expected to reap a record harvest next year, undeterred by a trend among some food manufacturers to favor their competitor, cane sugar that’s not genetically modified (non-GMO), the government forecast on Tuesday. In its first estimate for the upcoming season that starts on Oct. 1, U.S. farmers will harvest 5.09 million short tons (4.62 million tonnes) of sugar from beet, an all-time high and up slightly from 5.06 million tons, according to a U.S. Department of Agriculture forecast on Tuesday and data since 1959/1960. The estimate indicates that beet farmers are remaining resolute even as food manufacturers shun GMO crops like their beet sugar. Next year’s rising beet production coincides with a 5-percent drop in cane production to 3.62 million tons due to the closing of a cane mill in Hawaii. Beets, which represent nearly 60 percent of total U.S. sugar output, have seen record yields since the widespread adoption of genetically-engineered seeds in 2008. The seeds boosted beet cooperatives’ profit margins as they reduced labor and pesticide expenses. But recently demand has faltered as buyers turn to cane sugar. U.S. yogurt maker Dannon, a subsidiary of Danone SA , became one of the latest food companies to jump on the trend, saying it would move away from GMO ingredients, joining the likes of Hershey Co and Unilever Plc subsidiary Ben & Jerry’s Homemade Inc. The scenario has strained the U.S. sugar program, a complicated network of marketing allotments, import quota and price supports. Cane refiners are pressing USDA to up raw sugar imports to meet the demand, while beet companies argue their inventories are swelling. “Beet farmers are not going to cede market share,” said Frank Jenkins, head of JSG Commodities in Connecticut and a veteran NAFTA trader, noting any additional needs not met by U.S. production will be doled out to Mexico. “Why would they walk off the playing field right now?” he added. Some are hopeful the coming months will provide more clarity on where consumers stand on GMOs as companies including Mars Inc and Kellogg Co begin to introduce labeling of GMO labeling in response to a Vermont law that comes into effect this year. Critics of GMOs say that they contribute to the industrialization of agriculture and question their safety, while proponents counter they can reduce watering needs and use of harmful pesticides.